I don’t know about you, but after the holidays I think most of us are thinking leaner and healthier after the season of, let’s say, abundance (gluttony is such an ugly word right?). For me that includes cocktails. I sure loved the Vanilla Bean Eggnog with Bourbon that I made this past year but you couldn’t pay me to drink it right now. Nope…I want something simple and lighter and easier on the palate. I’m thinking this Rosemary Collins is about perfect! 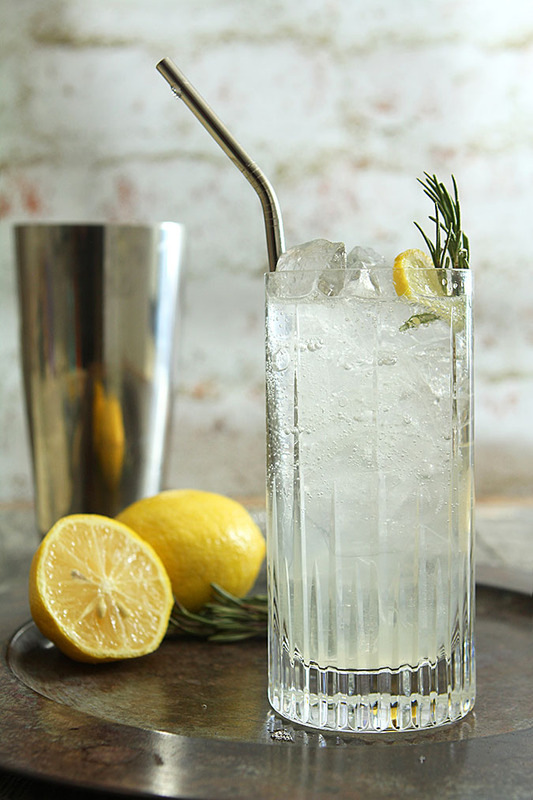 The truth is that it’s about as closely related to it’s cousin Tom as it could be…the same basic ingredients come together with just a hint of rosemary and make for a most refreshing drink. I had considered making the simple syrup with sprigs of rosemary but to keep it light and not be reminiscent of the holidays I opted instead to just include a sprig of my favorite herb as garnish. The scent alone is enough to make a noticeable change; if you prefer a stronger rosemary presence then do put a sprig into the pot when making your simple syrup; if you have some syrup in the fridge already like I do? Warm it a bit with the rosemary and let it sit for a bit. Those extra steps don’t sound hard but they were honestly ones I wanted to avoid; I wanted this to be super simple. Simple as in no prep required should friends or neighbors drop by for a bit, even without notice. This does the trick. Something about the herbaceous quality of gin combined with the freshness of lemon and a bit of sugar really does satisfy this time of year; adding the rosemary was pretty perfect. Keeping it lean? Try this…after all no one said we had to take EVERYTHING fun out of our diet right? Combine gin, simple syrup and lemon juice in an ice filled cocktail shaker; shake until thoroughly chilled. 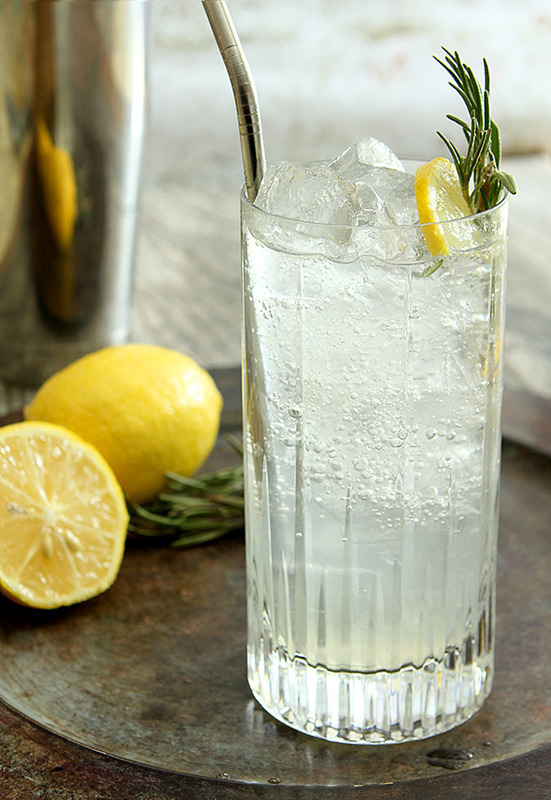 Pour over ice in a tall Collins glass and top with club soda. I’m a gin and tonic girl so l will certainly try this. Love rosemary, but glad you went with a light hand with it — just a smidge too much is WAY too much. It’s strong stuff. Good, though. 🙂 Lovely drink. And I still have rosemary in my garden! Score!